Welcome to Day #5 of Chocolate and Seeds Theme Week. 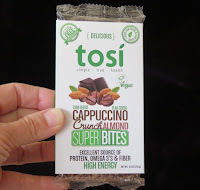 Today's Cappuccino Crunch Almond Super Bites were from Tosi (Tustin/Anaheim, CA). 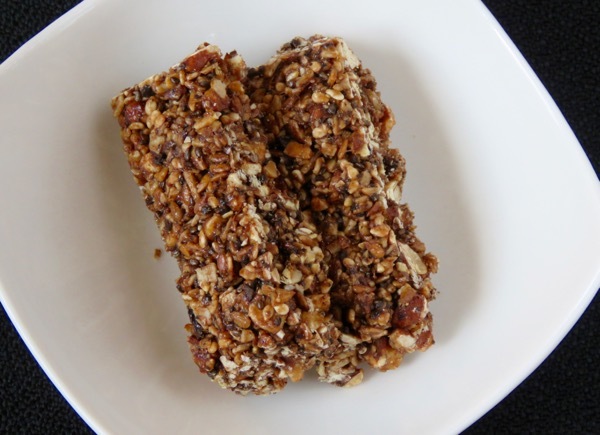 The bar broke off into even, rectangular pieces or bites, that had a pleasantly sweet (not too sweet, thank you) seedy crunchiness, with hints of coffee and chocolate.